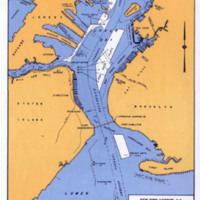 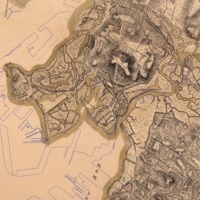 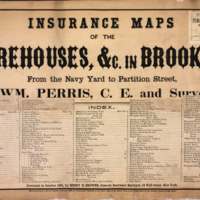 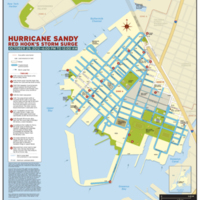 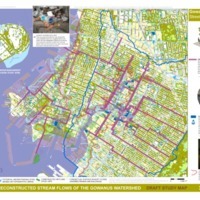 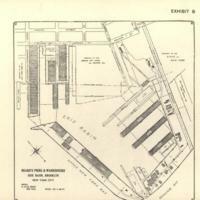 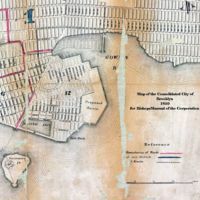 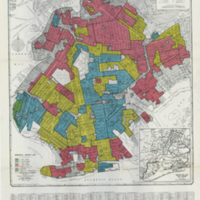 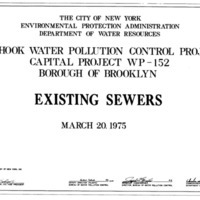 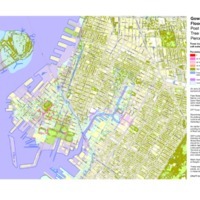 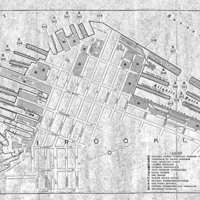 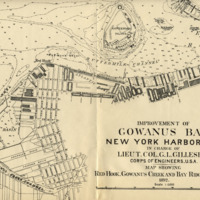 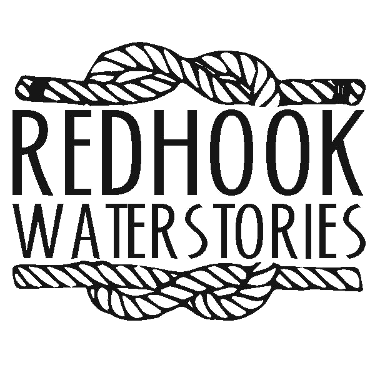 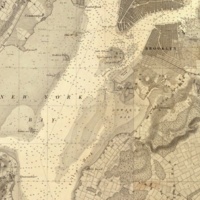 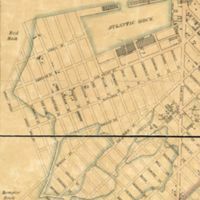 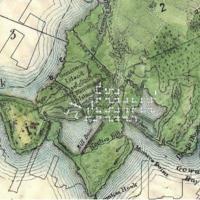 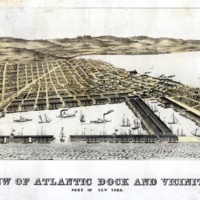 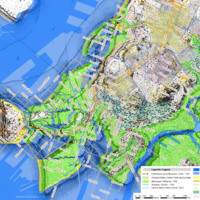 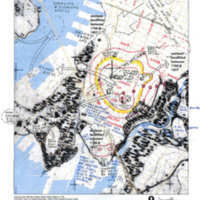 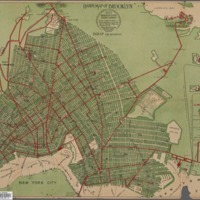 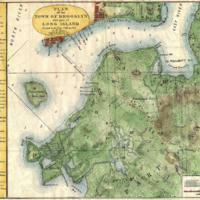 Below are historical maps of Red Hook, along with several recent ones. 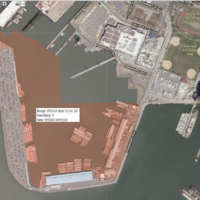 Click the thumbnail or link text to access the item. 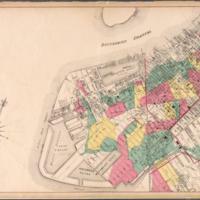 Then click the jpeg at top of the next page to access the full size version. 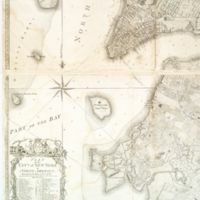 Note, some of the links go to collections of maps on a theme (such as historic maps, historic nautical charts). 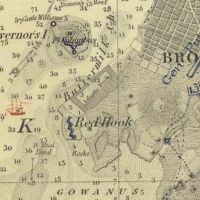 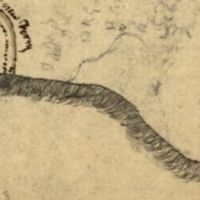 "Ratzer Plan of the City of New York, 1766"
"Plan of the Town of Brooklyn and Part of Long Island"
A hand-drawn map of Brooklyn from the 1770s, showing Red Hook, "the road to the new ferry" and distances from Flatbush. 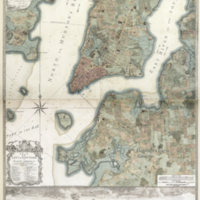 Plan of the City of New York in North America: surveyed in the years 1766 & 1767 by British engineer Bernard Ratzer. 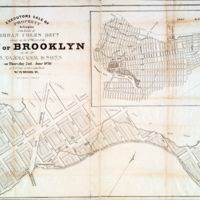 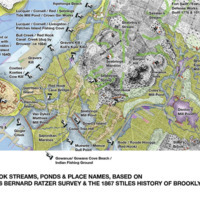 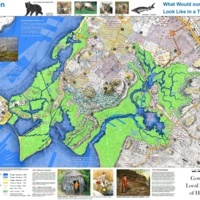 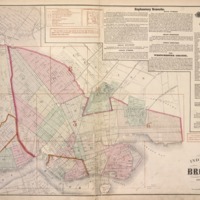 We find no evidence that the Brooklyn Basin in this map was ever built. 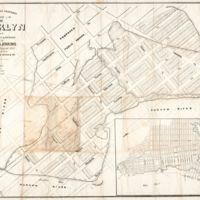 School curriculum map: 1766 Ratzer Survey map overlaid with modern land outlines, plus historical info. 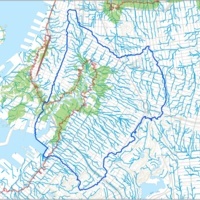 Created in 2014. 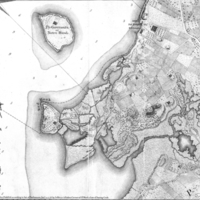 2016 draft map created by Eymund Diegel, based on his research describing Red Hook streams, ponds, tide mills up to around 1850. 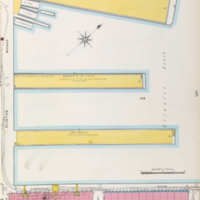 Maps showing the current property lines of: IKEA, Thor, Around the Erie basin.